Highly Subjective and Completely Arbitrary: Alas, All-Star! The scan is a little off, but I think it will underscore the point I want to make about the All-Star game. Let me clarify, not the game itself, but the way it is represented on cardboard. Topps used to make a point of having a different design for the All-Stars, and we can look back 30 and 60 years to prove the point. 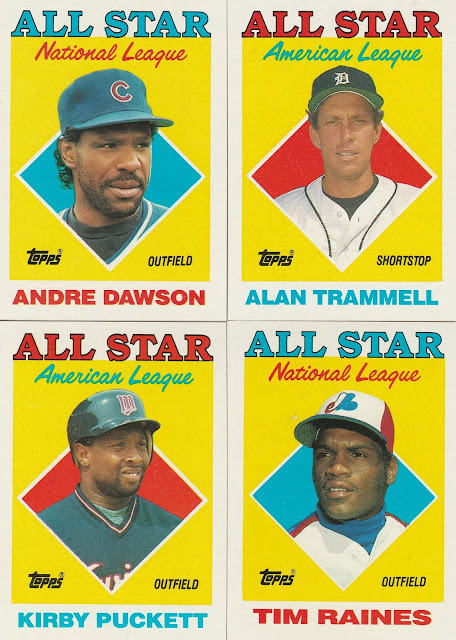 Red White and Blue dominate the design, with AL All-Stars getting a red background and Blue lettering. The NL All-Stars do the opposite, with a blue background and red letters. The photos are more conservative head shots rather than in-game action. The backs have a relevant leaderboard with the All-Star somewhere in the top ten. Add in a little season highlight blurb, and you've got yourself a clean and classy tribute to the game's best. Guess what? The '88 Topps set was no stranger to good ideas from past Topps sets. 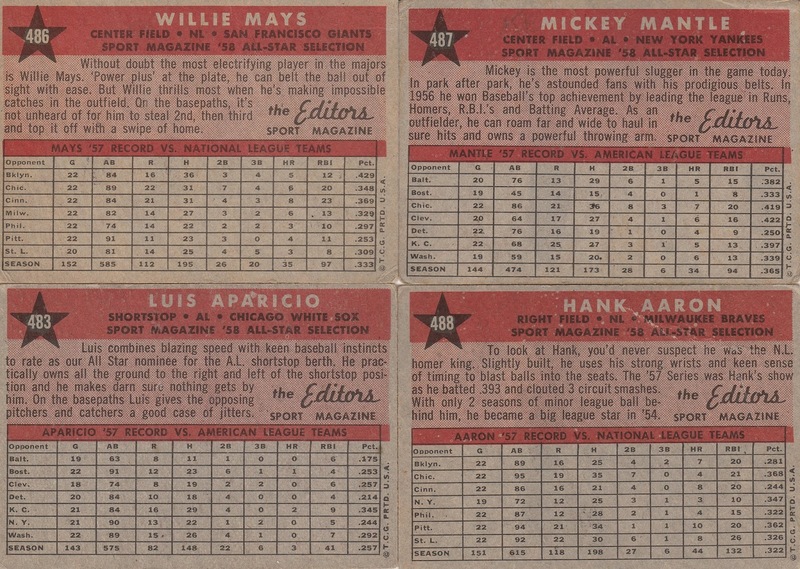 The base cards owed a bit of their look to 1967, with big bold colors for the team names. The All-Star Sub-set in '88 went back even further, with a nod to the 1950's. The backs have a longer run on sentence / paragraph about the player, and then a breakdown of each player's performance by opponent, a grid that would resurface in 1989 with Topps' resurrection of Bowman. The Topps Update All-Star cards of the last decade or so aren't terrible - I just think they could learn a bit from their past successes. It would be great for the cards to have a unique design (they could even be an insert, you know how Topps loves insert sets) compared to the base cards, and celebrate the event a little more than a logo. I do like the event specific photography, and I do like that the backs usually talk about what made the player an All-Star. What do you think? Should the All-Stars get their own design? 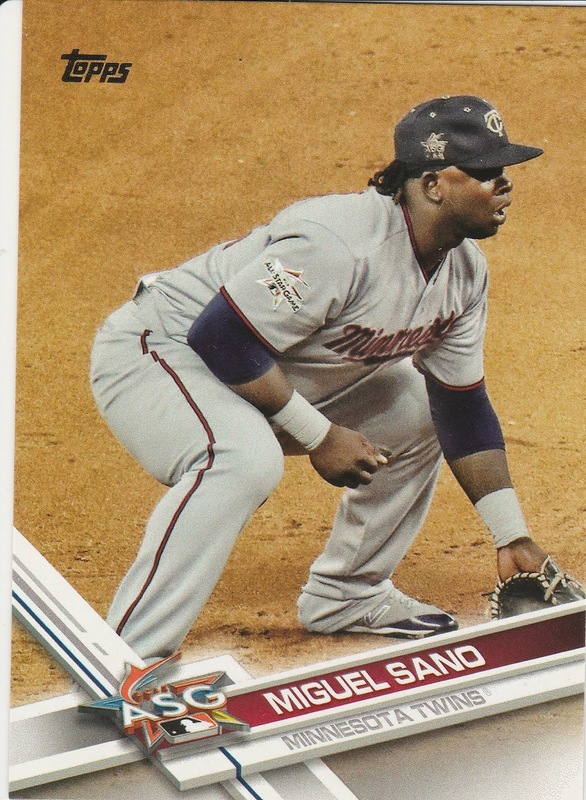 I like the All-Stars to get their own design, whether it's on their base card or an entirely different cards. Merely slapping the All-Star logo on their card isn't cutting it. I'm torn. I like the unique designs of All-Star cards from older sets, but at the same time what Topps is doing now allows them to recognize almost all of the All-Stars, not just the starters or their arbitrary top 9. ASG MVP Bregman would not have gotten an All-Star card in the old days. That being said - bring back the '78 shield! 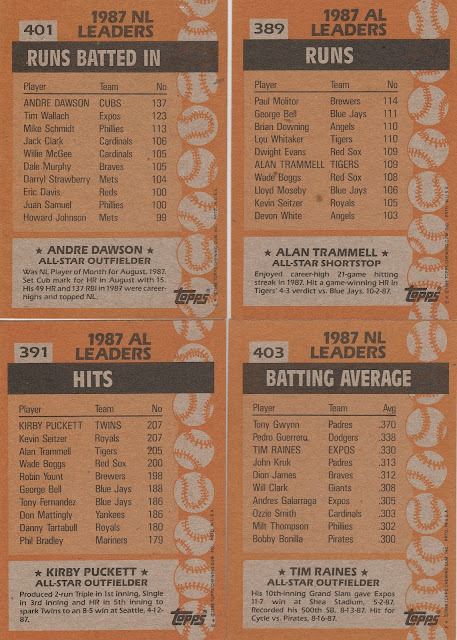 Although I didn't mind when Topps would put the little banner on the base cards of in the early 80's... I prefer they receive a subset. 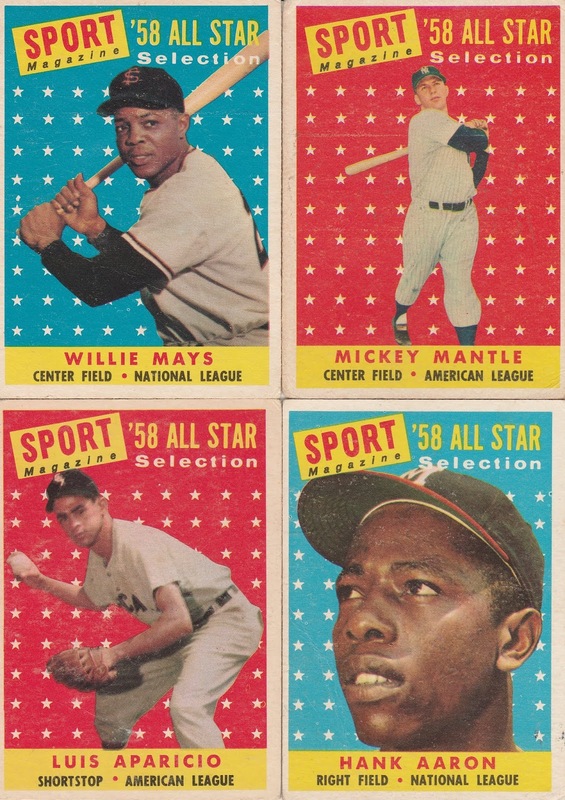 The 1958 and 1969 are two of my favorite all-star designs. 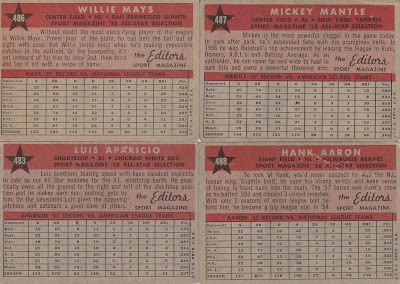 I'd rather guys simply get an All-Star designation on their standard cards rather than a separate All-Star card altogether (kinda clogs up the checklist, especially with the number of All-Stars nowadays), but Topps really needs to do more in showcasing it. The big stars from '75 Topps come to mind, probably my personal favorite of the bunch. A Panini Press Triple Break! Just One Pack of . . . 1976 Topps!